Stress can manifest itself in many ways: The inability to go to sleep, the inability to go back to sleep, muscle pains, body aches, lack of patience or internal anger that we cant identify. We throw this word around without truly contemplating its meaning or what we can do about it on a daily basis to help ourselves feel less of it and in return, more at peace (Happy). So if we compare our mental stress to our physical stress, it allows us to more easily identify two ways to relieve stress. Imagine I hand you (2) 5lb dumbbells and ask you to hold them out in front of you. Depending on your muscle strength, after a short period of time your muscles would begin to feel stress. This stress can turn into true pain and or injure you, if not relieved . What are two ways to reduce the stress being put on the muscle. One, we can reduce the weight, which would have an immediate effect, or two we can build up muscle strength to be able to withstand the weight but this takes time. Your brain (mind) is also a muscle. If we relieve some of the unnecessary weight we put on ourselves, we can have an immediate relief. We also can build up a tolerance to the weight by strengthening our ability to handle the load. This will take time and some pain along the way, but we can build strength and techniques that allow us to handle more "weight". Their is a more powerful way to release all of the stress we create but it is not comparable to a muscle and is unique to the mind. Our stress is created by the way we choose to perceive the things that are happening around us. 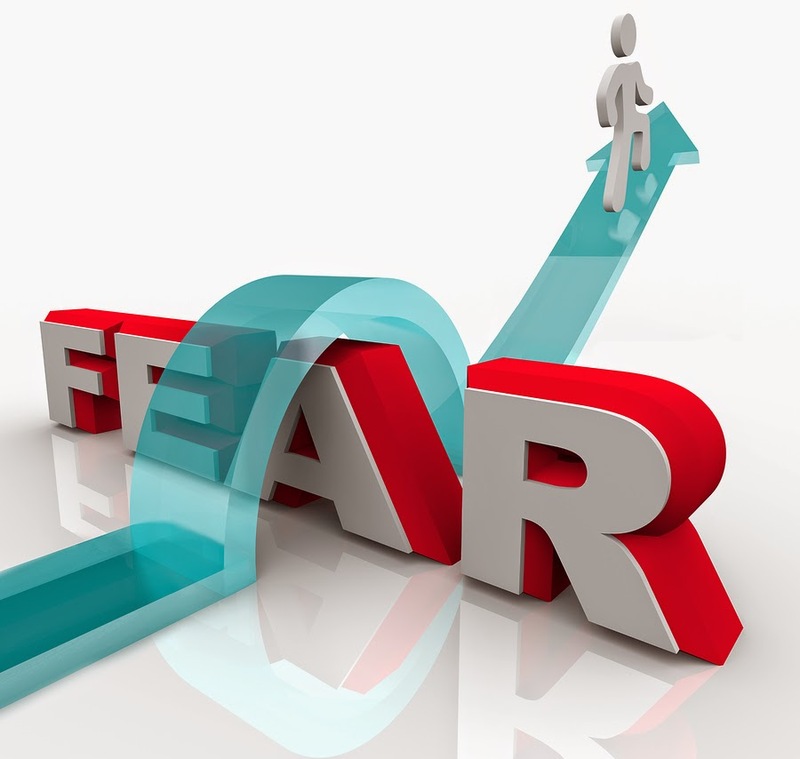 Our perception creates fear and fear is the catalyst of all stress. So how can we learn to perceive the daily things that happen around us differently? Take inventory of everything that you were fearful would happen and ask yourself today, how many of those things deserved you putting your happiness on hold. In turn, remind yourself of how many things you were looking forward to, that didn't turn out the way you expected. Fear will always be there but by eliminating some of the weight, working everyday to build strength and changing your perception of the daily obstacles thrown our way, you can build a bridge that will keep you from falling in the fearful holes that can manifest themselves in so many ways.